The beta period is over and we’re headed for final release with Rails 5.2 introducing Active Storage, the Redis Cache Store, HTTP/2 Early Hints, and more. Not just interested in the news of the release (above)? This post covers much more including Active Storage, credentials, the Current singleton, CSP configuration, and Bootsnap. Features a major refactoring of configuration option handling which now supports per application options. Ruby 2.5 support has also improved. 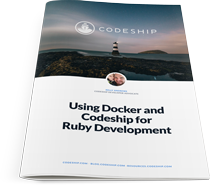 Learn how to develop and test a Ruby app with Docker compose and how to further create a CI/CD pipeline for your app using Codeship. Netflix is open sourcing a Fast JSON API gem which boasts 25 times faster serialization than Active Model Serializer. A very thorough walkthrough of building a Linux desktop app with Ruby. yield_self Is More Awesome Than You Think..
Several examples of Ruby 2.5’s all-new yield_self cleaning up older, uglier blocks of code. Scrappy and fascinating work digging into Ruby processes from ‘behind the scenes’. .. including info on how they spent their $284k budget. It’s time to move on, so this is a strongly recommended move. A way to handle warnings about insecure images and other content. First in a series on deploying a Rails app to AWS using Docker. Rails 5.2 adds credentials in lieu of secrets making the workflow much simpler. Redux uses concepts like reducers, dispatching actions, and listeners to manage a single state object. Ruby on Rails one-click image with DigitalOcean lets you to deploy in seconds. Try it now. An ecosystem of gems for building elegant command line apps. .. and already tested with Rails 5.2.0rc1 even.